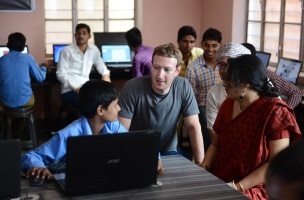 Facebook co-founder and CEO Mark Zuckerberg continued his travels through India, meeting with Prime Minister Narendra Modi, as well as making a stop in Chandauli, about 150 miles outside of Delhi. Zuckerberg delivered the keynote address at the first-ever Internet.org Summit in New Delhi earlier this week. Had a wonderful meeting with Facebook CEO Mr. Mark Zuckerberg. We discussed several issues during our meeting. I spoke to him about Swachh Bharat Mission. Mr. Zuckerberg shared that Facebook would assist the Government of India in the Clean India mobile application. This will surely give an impetus to Swachh Bharat Mission. Mr. Zuckerberg is excited about Digital India initiative. I requested him to identify certain areas where Facebook can help us in that. I also requested Mr. Zuckerberg to identify how Facebook can help promote India’s rich tourist potential across the world. Today I visited the village of Chandauli in northern India. It’s a small, very rural community about 150 miles from Delhi. Earlier this year, Chandauli got connected to the Internet. Now, hundreds of people — from schoolchildren to seniors — are learning how to use the Internet to find information, access government services and connect with their friends and loved ones. Seeing firsthand how people here are using the Internet was an incredible experience. One day, if we can connect every village, we can transform many more lives and improve the world for all of us. Chandauli is just the start. 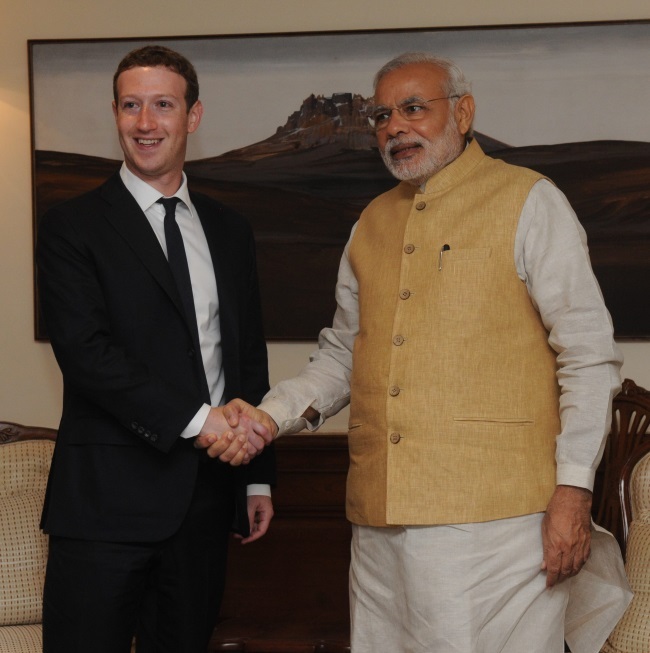 Readers: What are your thoughts on Zuckerberg’s visit to India thus far?